All doctors have a duty of care to uphold certain standards when treating patients. In a medical setting, the duty of care refers to a doctor’s responsibility to their patients. Any actions that do not uphold this duty of care are generally considered negligent. When negligence leads to adverse outcomes for a patient, the doctor can be liable for any damages that result. A doctor’s failure to uphold the duty of care can give rise to a medical malpractice claim, especially if the patient can prove that the doctor’s failure led to injury or other economic or non-economic harm. For help understanding duty of care and medical malpractice law, contact Medical Malpractice Help today. Our attorneys offer free case evaluations to victims of medical negligence across the U.S. Call 855-633-2757 today. A doctor owes a duty of care to a patient when a doctor-patient relationship exists between them. If a person asks for and receives advice about an ankle sprain from a random doctor in an elevator, no duty of care governs that exchange, as the advice was not given within the context of a doctor-patient relationship. The patient voluntary selected the doctor for treatment. The patient submitted to treatment, care, or examinations by the doctor to address an ailment or medical condition. The patient’s treatment by the doctor was ongoing. A doctor’s duty of care to a patient covers the time during which the relationship existed. If either party terminates the relationship at any point, the doctor does not have a duty of care toward the patient any longer. This is why it is critical for patients to retain all records from their various doctors in case they ever need to prove that a doctor-patient relationship existed. To qualify as medical malpractice, the plaintiff must show the doctor breached their duty and violated the standard of care. Proving a violation requires showing that the doctor’s actions—or lack of action—failed to uphold the “reasonable person” standard. The reasonable person standard compares the doctor’s behavior to what we would expect from another doctor faced with the same situation. For example, imagine a patient goes to the doctor for persistent abdominal pain. The patient’s condition turns out to be appendix cancer. However, the patient does not discover this until months later, as the initial doctor misdiagnosed the appendix cancer. If another doctor would have correctly diagnosed the cancer and started treatment, the defendant likely violated their duty of care. 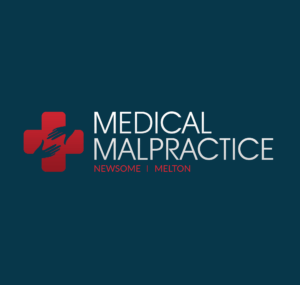 If you believe your doctor breached their duty of care to you, the legal team at Medical Malpractice Help wants to help you pursue the compensation you deserve for your damages. Our medical malpractice lawyers offer free initial consultations and case evaluations. To schedule an appointment, call our office at 855-633-2757.